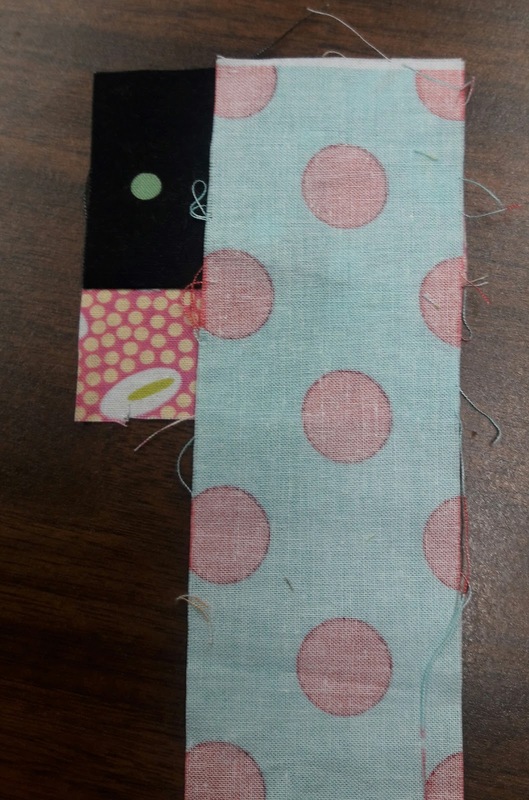 As promised here is the tutorial for the scrappy quarter log cabin quilt. Start with a square. I cut mine off strips that were in the random strip bin I've been trying to tame. 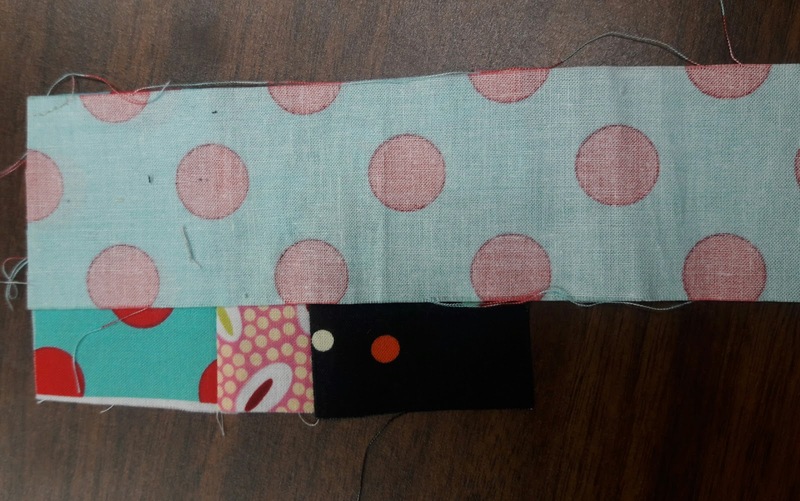 I used different sizes ranging from 3"-2"
Sew a strip on to one side, press toward the square. Trim to be even with your square. On the adjacent side sew more of the same strip. 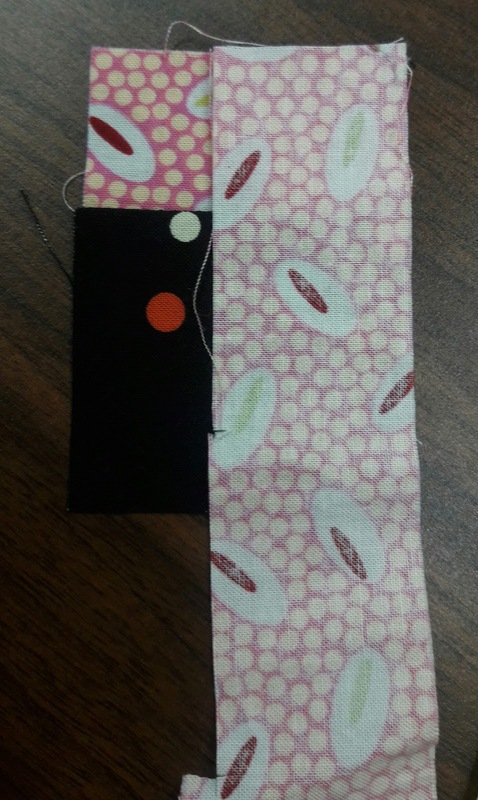 If my strip was not long enough I sewed a similar color fabric strip to it and had a pieced log. You decide if you want it that scrappy. Once again press and trim. sew it next to your first log. Once again press and trim. 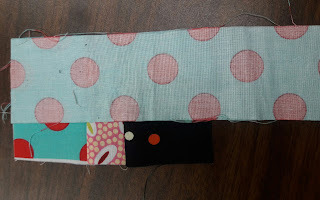 Next sew more of the same strip to the side with your second log. Press and trim. 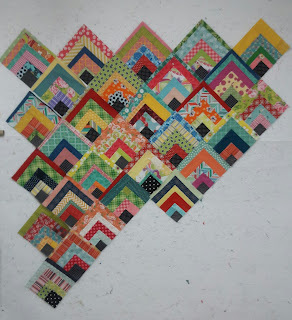 Repeat this process until your block is about 9" square. Then use a ruler to square up your block to 8 1/2"
Ta Da you have a block. Make many blocks. I made 50 and it still didn't use up all my strips. 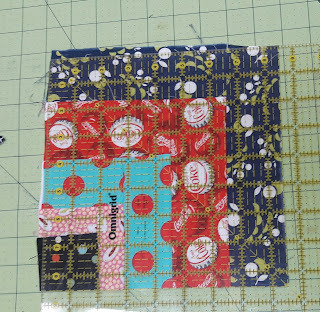 For the setting cut a 12 1/2" square from your setting fabric. I used 5 of these. Cut it on the diagonal twice. You will have two leftover. I found if I cut those in half they worked for my corners. 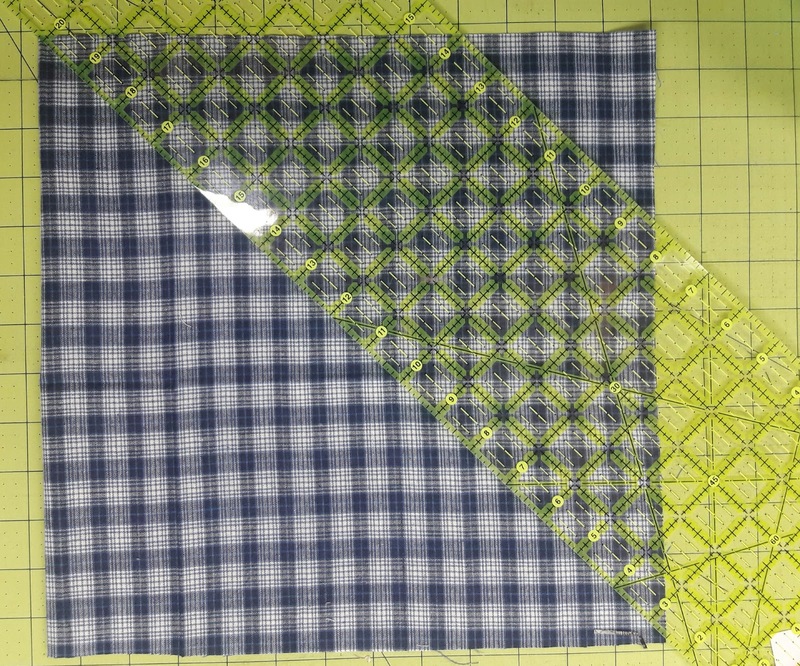 I know technically I should have cut two 6" squares and cut them on the diagonal once. But why waste fabric? 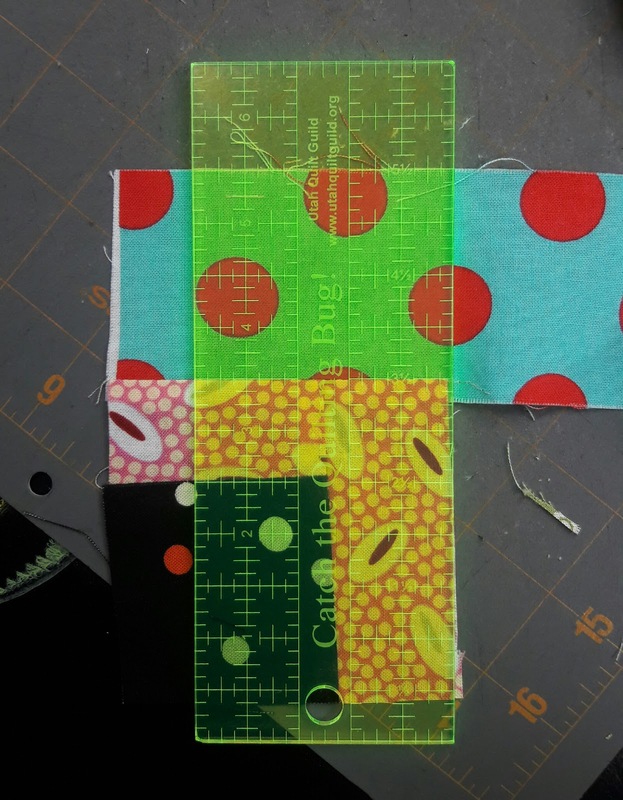 Place these around your quilt to finish edges and sew in diagonal rows. If you want to change the size of your blocks there is a tutorial here to help you figure out your setting triangles. Hope this helps you. Let me know if you have questions. Enjoy your 4th! Love this! I've made a couple of scrappy 1/4 log cabin quilts, and always been so tempted to set them like you have, maybe next time. This is great. 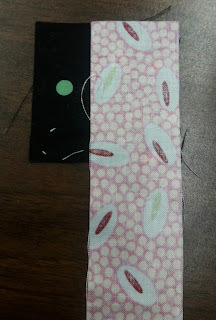 Have wanted to make it for a long time, now I will start to gather my strips and get to work. Thanks so much for the tutorial! 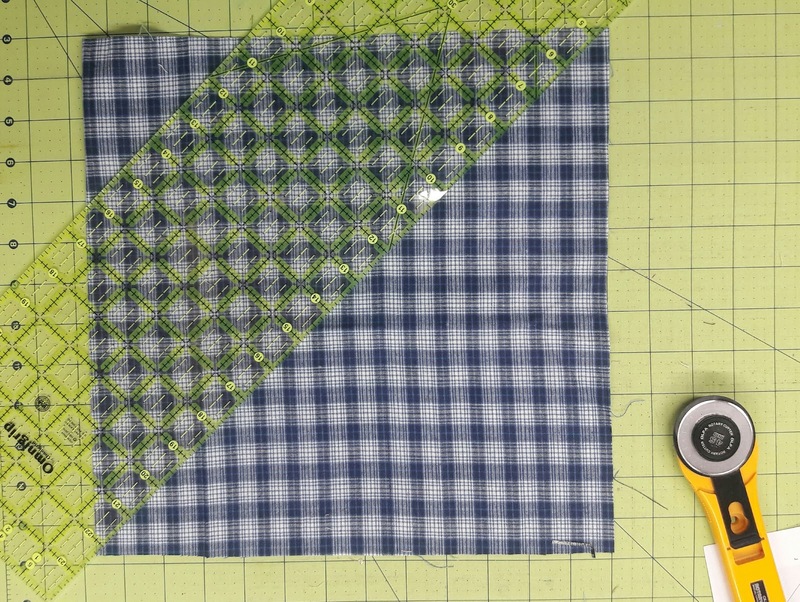 A nice easy tutorial, so good for beginning quilters. 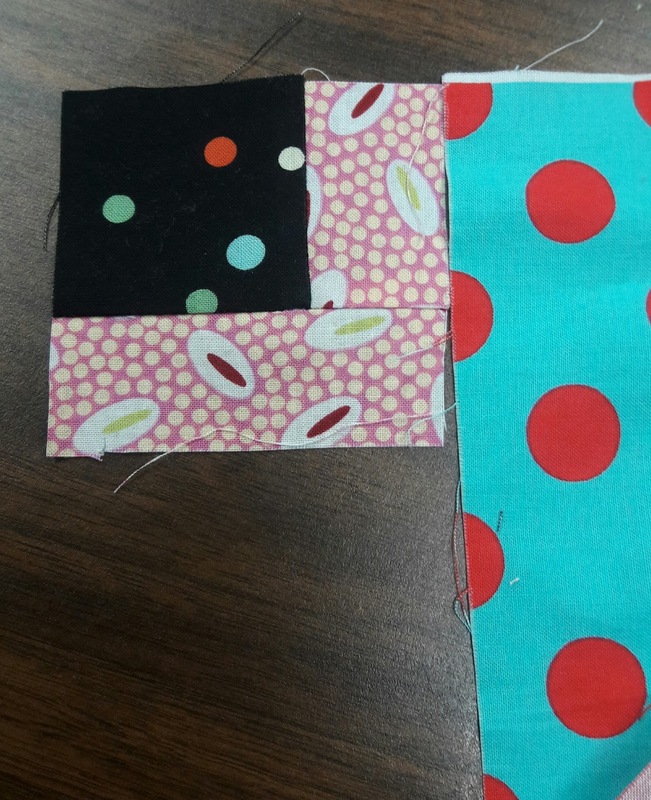 Just knowing the size of the starting squares and the finished blocks is so helpful. Thanks for sharing. 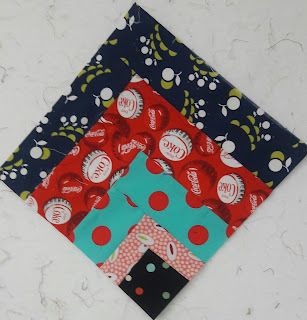 What a fun way to use up those scraps! Your quilt turned out so well! 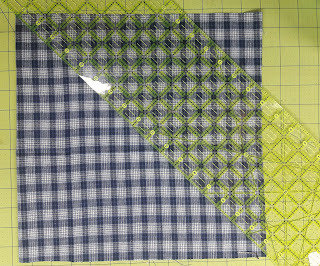 How much fabric is needes for the setting triangles. 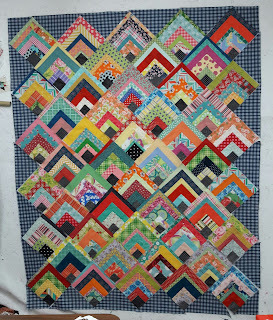 Such a good way to do log cabin blocks, sew along with approx. 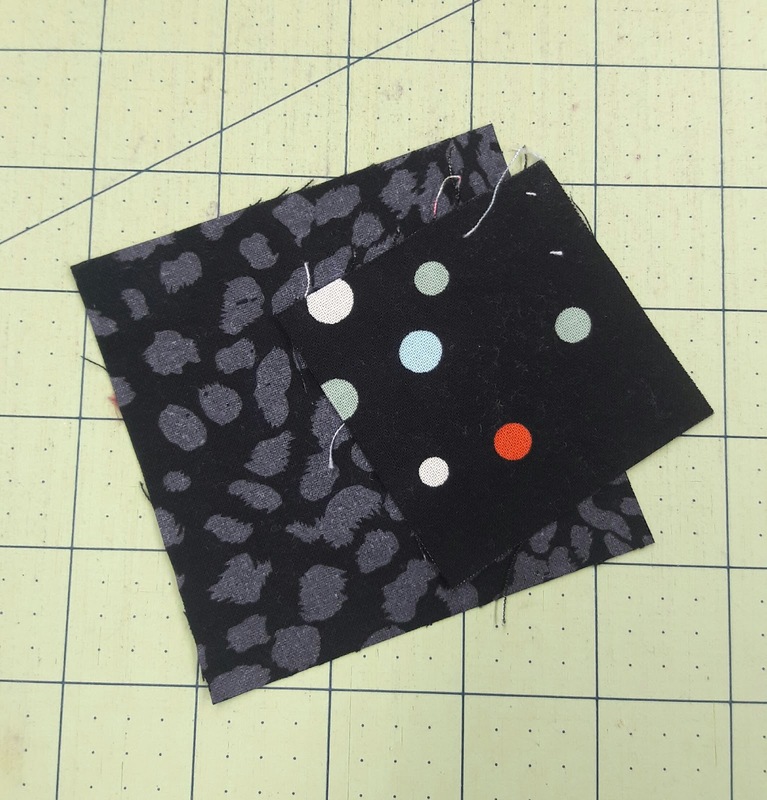 sizing and then trim up to the proper size at the end. Some day I am going to make one of these in this presentation myself! 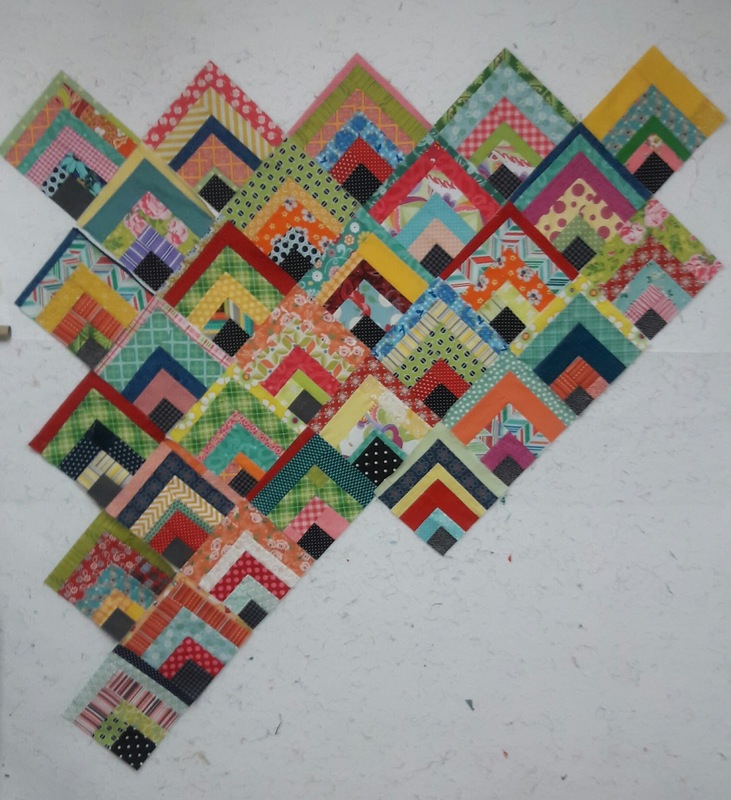 What a great looking quilt! An inspirational tutorial. And a squirrel for me, got 8 blocks done so far. Great instructions, just what size is the finished quilt please? Around 50 by 48?? I have one of these I started years ago. So long ago it has colonial blues and mauves in it lol. I am going to set regular with a wide applique border. So easy and fun. Love yours!